On an isolated Texas ranch, Dr. Lucy cares for abandoned animals. The solitude allows her to avoid the people and places that remind her of the past. Not that any of the townsfolk care. In 1959, no one is interested in a woman doctor. Nor are they welcoming Calvin and Justin Bell, a newly arrived African American father and son. When Pete Solomon, a neglected twelve-year-old boy, and Justin bring a wounded wolf-dog hybrid to Dr. Lucy, the outcasts soon find refuge in one another. Lucy never thought she’d make connections again, never mind fall in love. Pete never imagined he’d find friends as loyal as Justin and the dog. But these four people aren’t allowed to be friends, much less a family, when the whole town turns violently against them. With heavy hearts, Dr. Lucy and Pete say goodbye to Calvin and Justin. But through the years they keep hope alive…waiting for the world to catch up with them. Catherine Ryan Hyde is the author of thirty published and forthcoming books. Her bestselling 1999 novel Pay It Forward, adapted into a major Warner Bros. motion picture starring Kevin Spacey and Helen Hunt, made the American Library Association’s Best Books for Young Adults list and was translated into more than two dozen languages for distribution in more than thirty countries. Her novels Becoming Chloe and Jumpstart the World were included on the ALA’s Rainbow List; Jumpstart the World was also a finalist for two Lambda Literary Awards and won Rainbow Awards in two categories. More than fifty of her short stories have been published in many journals, including the Antioch Review, Michigan Quarterly Review, the Virginia Quarterly Review, Ploughshares, Glimmer Train, and the Sun, and in the anthologiesSanta Barbara Stories and California Shorts and the bestselling anthology Dog Is My Co-Pilot. 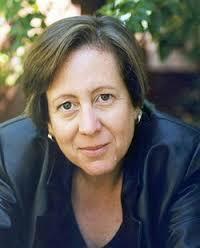 Her short fiction received honorable mention in the Raymond Carver Short Story Contest, a second-place win for the Tobias Wolff Award, and nominations for Best American Short Stories, the O. Henry Award, and the Pushcart Prize. Three have also been cited in Best American Short Stories. Ryan Hyde is also founder and former president of the Pay It Forward Foundation. As a professional public speaker, she has addressed the National Conference on Education, twice spoken at Cornell University, met with AmeriCorps members at the White House, and shared a dais with Bill Clinton. I read this novel on the plane trip home from Mexico. (Well, I read most of it on the plane. I finished it at home because our flight was only 2 1/2 hours long), and it kept me so absorbed that when I took a break to refill my drink, I was amazed that we were already on our descent path. It’s been a long time since I’ve fallen so deeply into a book, and I credit Catherine Ryan Hyde’s easy writing style and the subject of the book itself. As someone who works in rescue (my longest-term foster – an American Staffordshire Terrier who had been in my care for three years finally found her forever home over Christmas) and has also taken in stray humans from time to time, Doc Lucy and her collection of animals and people was something I really connected with. The twist of her being licensed to practice human medicine, something that comes up more than once in this novel, just made it more interesting, and made her character more vivid. 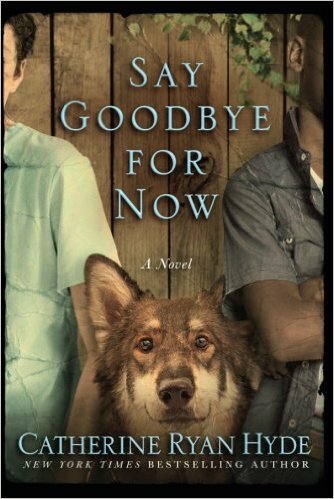 The kids in the story, Pete who rescues a wolf-dog hybrid he names Prince, and Justin, a newcomer to town who is also black, and the friendship they fall into felt very real to me. I’m lucky to have a fairly diverse group of friends, but this novel was from a time just before the civil rights movement, when such a friendship was risky to all involved. Still, I think Hyde managed to catch the mood of innocent youth edging into self-awareness really well, and I thought both boys’ arcs were interesting and plausible. Calvin, Justin’s father, was harder for me to get a ‘read’ on, with his old-fashioned propriety (sleeping on the couch because he was too close to Lucy’s room, for example) but I came to find him quite likeable, one of the best fictional fathers I’ve seen in a long while. His relationship with his son – one where, as Pete observes, there is talking not whipping, is lovely, and I loved the way his relationship with Lucy evolved as they got to know each other and started to chip away at each other’s walls. And oh! Lucy has walls. We learn about her much more slowly than we do the others, but be also see her from their perspectives, and what we see is telling. Pete notices that she’s pretty, that she isn’t overly ‘nice,’ but that her manner changes as familiarity is established, etc. I liked that she didn’t melt into sweetness and light all at once, and that even when she was facing complete unknowns, she remained very much who she was: a woman who keeps people and animals at arm’s length to protect her injured heart, but who can’t help but do good where she can. Overall, this was a richly detailed, compelling story, and one I really enjoyed. Goes well with French toast and coffee. Leave a relevant comment on this post. Include your actual email address – no one will see it but me. Find my tweet about this review on Twitter (I’m @melysse), and retweet it (be sure my tag is intact). Giveaway ends on Saturday, January 7th at midnight CST. 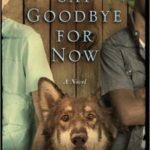 Review: Say Goodbye for Now, by Catherine Ryan Hyde – with Giveaway by Melissa Bartell is licensed under a Creative Commons Attribution-NonCommercial-ShareAlike 4.0 International License. Thanks for this wonderful review. The characters sound realistic and the novel sounds memorable and unforgettable. A captivating story which I would enjoy greatly. Sounds good can’t wait to read it.